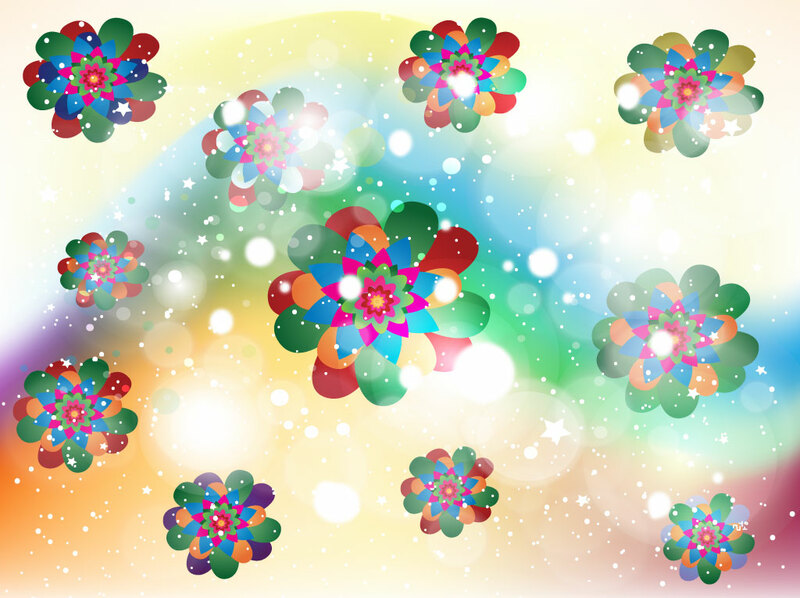 Flower vectors in vivid colors on psychedelic sky backdrop. This abstract vector background is bright, colorful and decorative. The gradient mesh backdrop is like a wave or rainbow with stars and flower like shapes lit up by transparent bubble graphics. Free download for your happiness and celebration themed greeting cards and party decorations. Cool vector footage to create retro Sixties or Seventies party invitations or fashion flyers. Tags: Flower Power, Flyer, High, Hippie, Seventies, Sixties, Stoned, Trip, Woodstock.